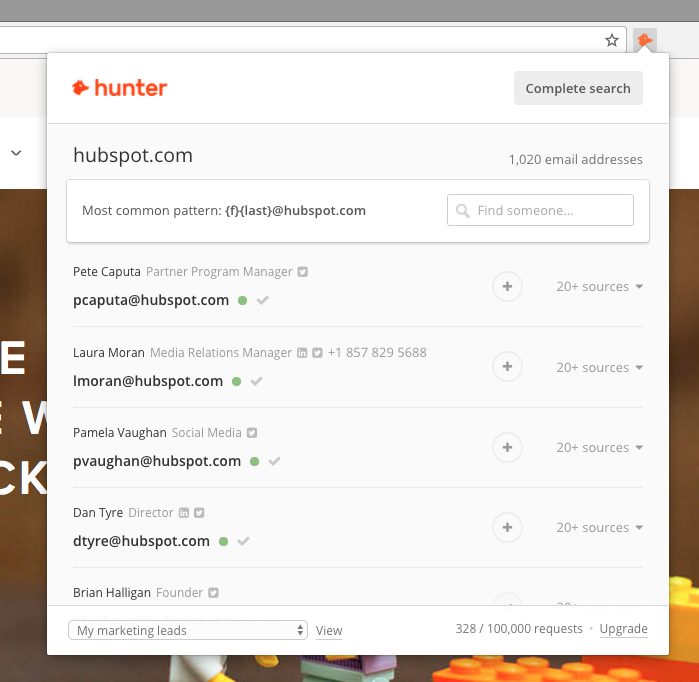 How do I find email addresses on websites I am visiting with Hunter's Chrome Extension? Each time you visit a website, simply click Hunter's Chrome Extension or Firefox Add-on to get a list of email addresses directly in your browser. We'll display every email address found on the web associated with the domain name of the site you're visiting. For each email address, the extension will provide the sources where the email was found along with its discovery date and additional information if publicly available.